This sleigh, while not a Tramp Art piece, is a nostalgic look back at an old time Christmas tradition of the sleigh ride. It is made from 6 pieces of hand cut wood. Then a series of "white washes" are applied and a final dusting of vintage mica to show the snow and ice that is gathered while taking a ride out in the cold. 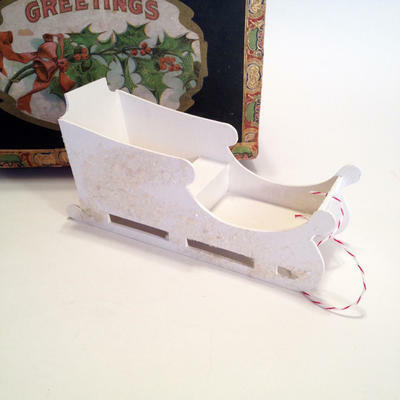 This piece is sure to delight and become a family heirloom at Christmas time.